We love how your unofficial go-to outfit is a red t-shirt worn underneath a jean jumper paired with a red pageboy cap. It's sporty-chic, classy, and always makes for a sophisticated fashion choice no matter the occasion. You know what they say, if it's not broke, don't fix it, so there's no need to change but getting a little upgrade never hurts either! 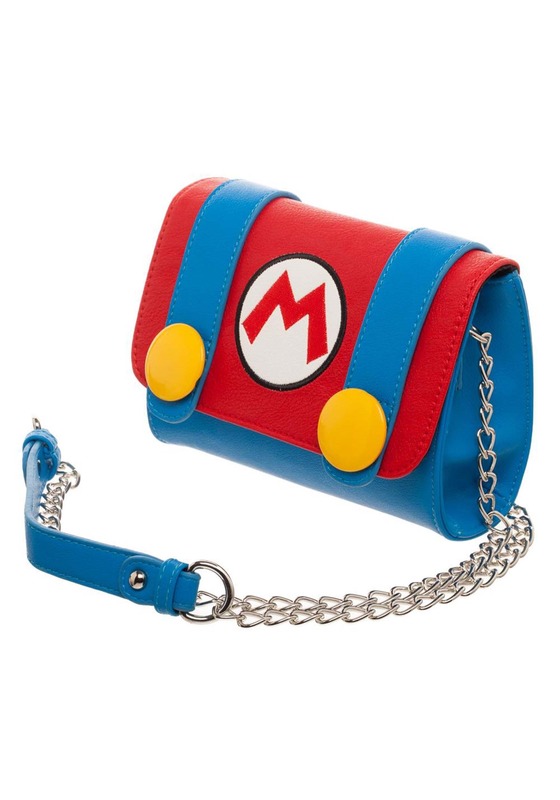 Enhance your all-time favorite ensemble by wearing this officially licensed Nintendo crossbody bag. 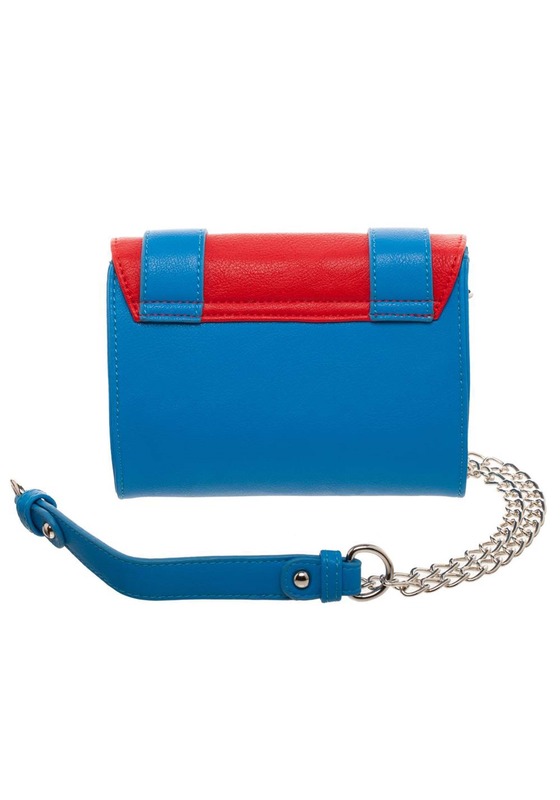 Inspired by the famous and always well-dressed plumber, Mario, this purse complements your all-time favorite ensemble in the boldest way possible. 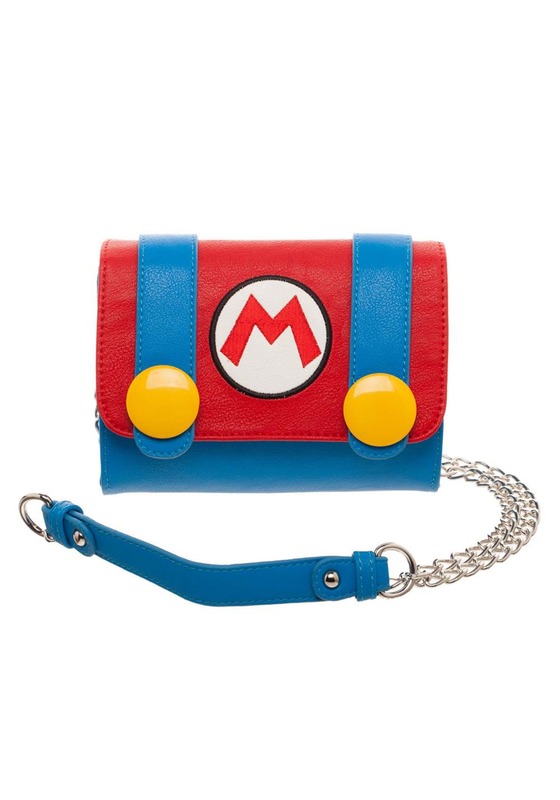 There's never a need to contemplate which purse to wear when carrying your phone, wallet, lipstick, and blue shell power-ups ever again because the Mario sidekick crossbody can tote it all! This accessory allows gal-gamers to incorporate their love for Super Mario Bros. into their wardrobe. Featuring a convenient magnetic snap-closure, the interior zipper pocket is perfect for stashing small necessities like makeup and money. The famous Mario "M" is printed on the faux-leather shell in between two yellow buttons while a gold chain shoulder strap rounds out the list of stylish features. Are you looking for a way to elevate your women's Mario costume? Pair the Mario bag with it for a related accessory to create a look Princess Peach will envy.